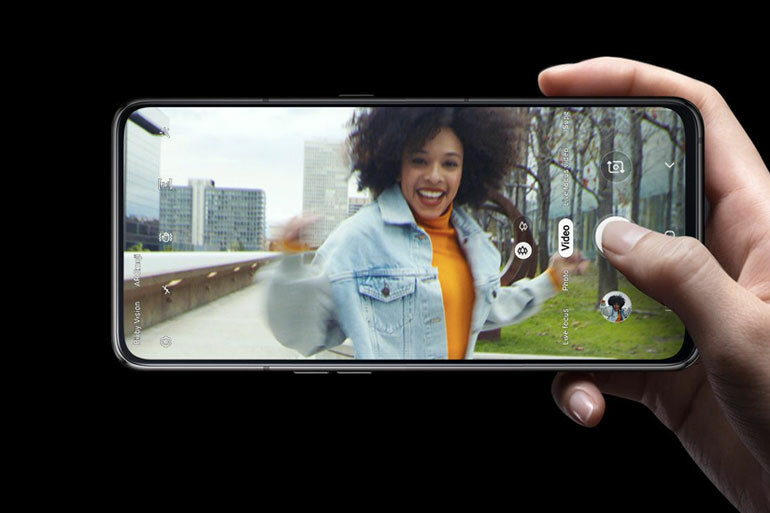 Samsung unveils the Samsung Galaxy A80, the company’s latest smartphone innovation. 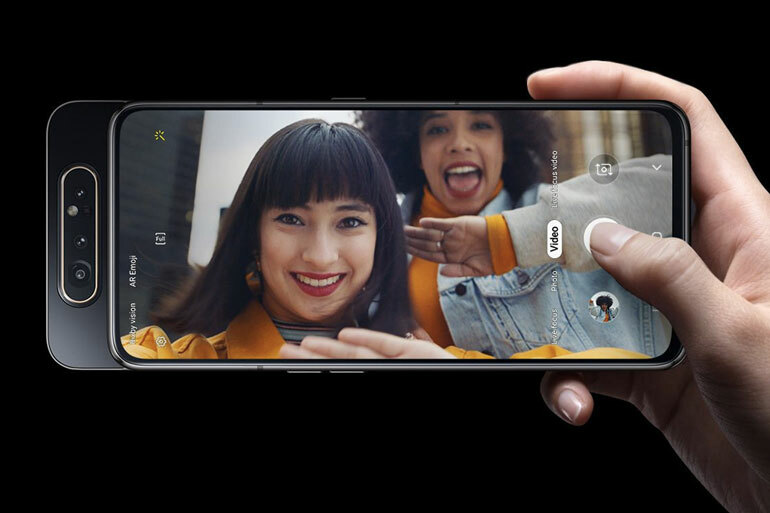 The handset features a motorized pop-up rotating triple camera module and a huge cinematic AMOLED display with no notch. Samsung’s latest has a unique take on its cameras — a triple camera setup that serves as both its rear and front shooters. The main camera has a 48MP sensor which is accompanied by an 8MP ultra-wide angle camera and a 3D ToF depth sensor. For selfies, the camera module rises up and then flips or turns over, resulting in the rear cameras now facing front. 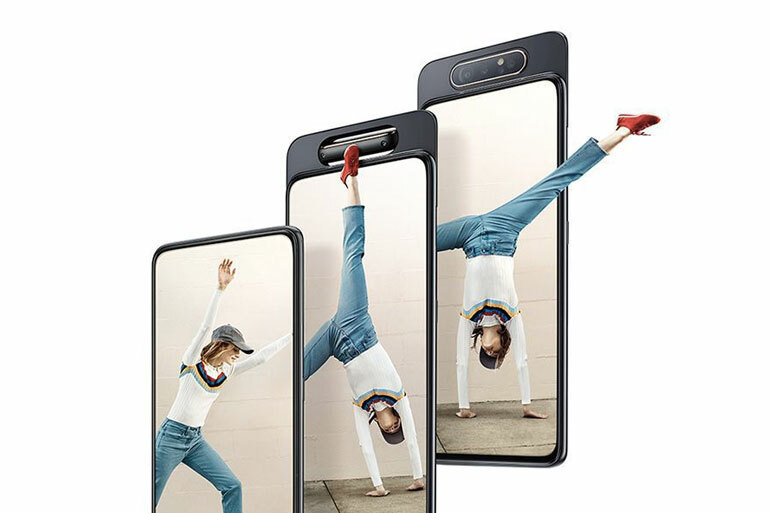 Apart from the cameras, the Galaxy A80 has Samsung’s “New Infinity” display which is a large 6.7-inch full HD+ Super AMOLED screen. It has no notch and thin bezels, which means it will have a good amount of screen-to-body ratio. It also rocks an in-display fingerprint scanner. Under the hood, you have an octa-core Qualcomm Snapdragon 7150 with two 2.2GHz cores and six 1.7GHz cores. It is paired with 8GB RAM, 128GB of storage, and a 3,700mAh battery with 25W fast charging. Unfortunately, there’s no headphone jack and no microSD card slot. 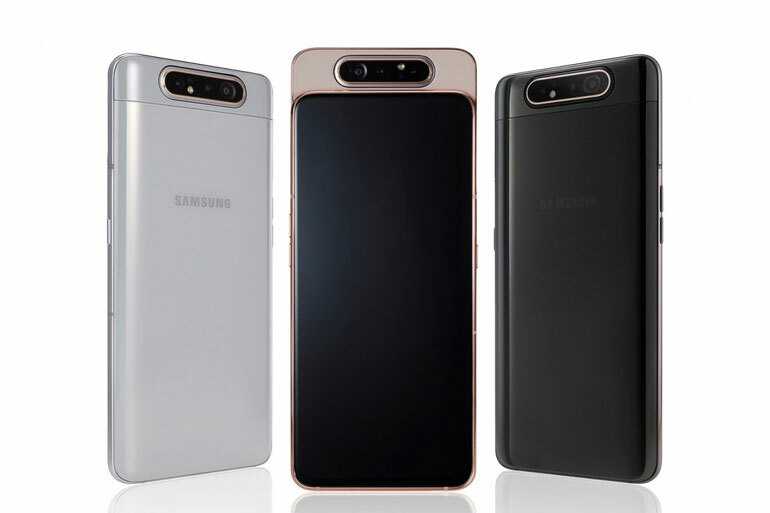 The Samsung Galaxy A80 will launch on May 29, 2019. Local pricing and availability are yet to be announced.